Hi there, I’m a Tenancy Support worker based in Washington. I have a client who has two rooms that she needs cleared. Most of the items in one room are boxed. The larger items are 2 wardrobes, a single bed, a fish tank and a living room unit. 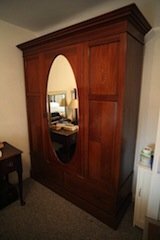 An Edwardian mirror fronted triple wardrobe, having two large drawers to the bottom. 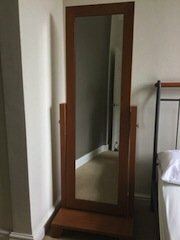 A tall standing solid oak, bevelled swing mirror on pedestal. 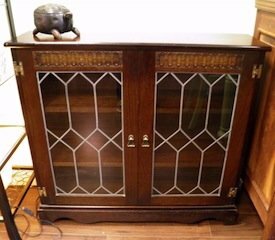 A vintage solid oak, leaded double door cabinet, having glass inlaid doors opening to reveal two shelves. 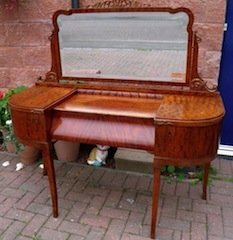 An art deco walnut dressing table and detachable mirror, having two key locking drawers aside a central lift up make up drawer. 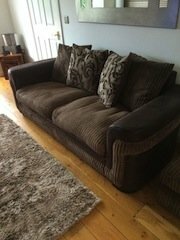 A two seater low back sofa on solid wood get, upholstered in chocolate brown leather and suede. 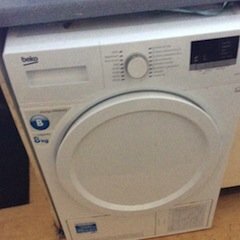 A white Beko 8kg condenser dryer. 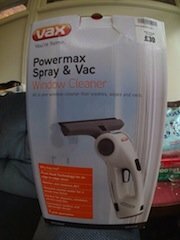 A brand new boxed, Vax Powermax spray and vac window cleaner. 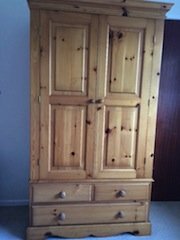 A tall standing solid pine double wardrobe, having two small over one large drawer to the bottom. 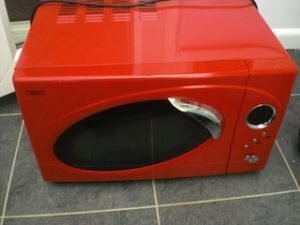 A red Next retro style, glass fronted 800w microwave. 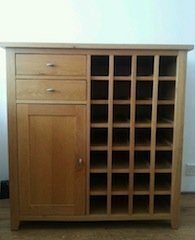 A solid pine buffet sideboard, having two drawers above a cupboard, aside a wine rack. 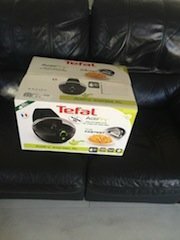 A brand new boxed, black Tefal ActiFry 1.5kg air fryer. 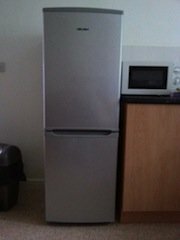 A tall standing silver Bush, two door fridge freezer. 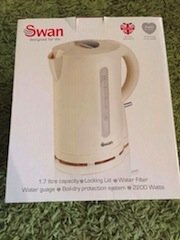 A brand new boxed, cream Swan 1.7 litre kettle. 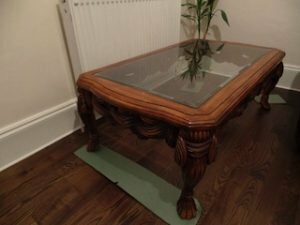 A heavily carved glass topped, vintage mahogany coffee table, on four lion paw feet. 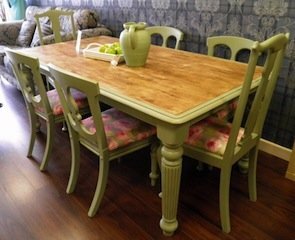 A solid pine hand painted green dining table, together with six matching chairs, upholstered to the seats in rose patterned fabric. 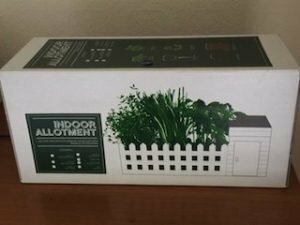 A brand new boxed, white wood indoor allotment.